There have been some licensed NERF blasters in the past, although the only instance that immediately comes to mind is Star Wars-themed blasters. So, it’s not completely surprising that Overwatch, a game with a lot of unique firearms, is now getting a NERF blaster in the Reaper Wight Edition Blaster. 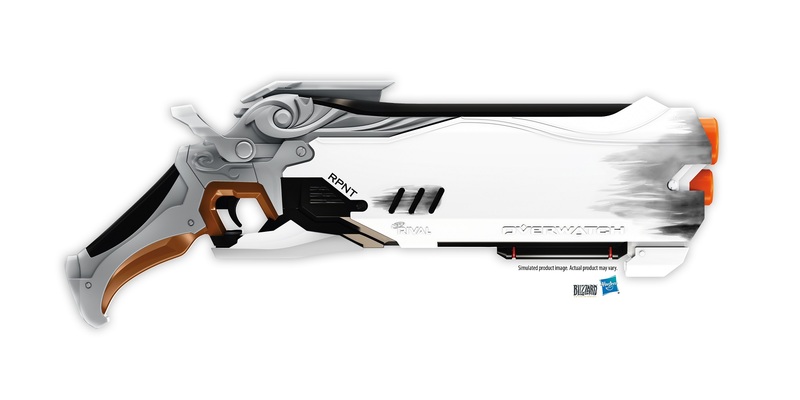 As the name implies, this blaster is stylized after Reaper’s Hellfire shotguns, and as it’s part of the Rival series, it’ll shoot the spherical Rival projectiles, of which it can hold 8, instead of the traditional darts. 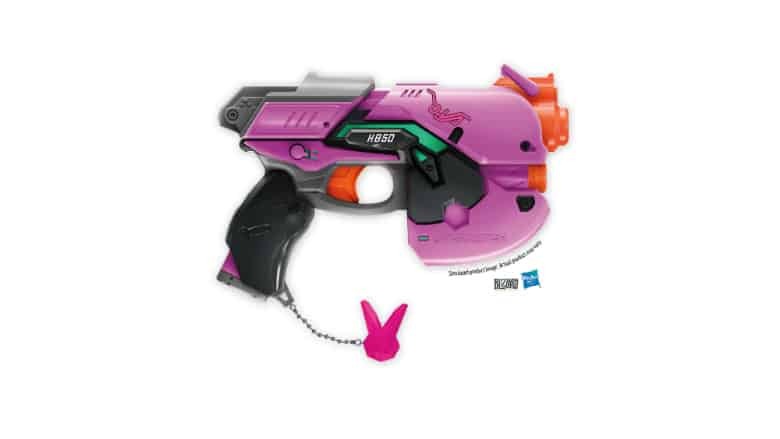 A D.Va blaster will also be released, modeled after the character’s sidearm. Both of these blasters don’t have a definitive release date, but look for them to reach store shelves sometime in 2019. This entry was posted on Sunday, August 12th, 2018 at 00:26	and is filed under Nerf, Video Games. You can follow any responses to this entry through the RSS 2.0 feed. Both comments and pings are currently closed.